InvestComics has teamed with Alterna Comics for a unique MONTHLY giveaway! 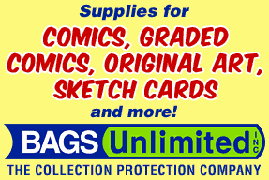 ENTER each month for a chance to WIN a MOVIE sketch card! InvestComics / Social Media Giveaway is proud to present a NEW monthly giveaway with Alterna Comics that will have a winner receiving an ORIGINALLY drawn sketch card from Alterna Comics‘ artist Peter Simeti!! Each month as a new movie is released in theaters, Peter Simeti will provide an ORIGINAL marked sketch card that will be in the theme of a new movie release that month. This month, Doctor Strange! Peter sketches an original sketch card just for this giveaway! Winner will be announced on November 30th 2016. This promotion is open to participants in the continental U.S. only. If you have won a giveaway from InvestComics LLC or Social Media Giveaway within the last 6 months, you are not eligible in this promotion. InvestComics LLC, Social Media Giveaway and Alterna Comics are not responsible for any lost item(s) or damages during shipping. There will be no replacement item shipped out once the product is in the sole possession of the delivery service of Alterna Comics’ choice. Employee’s or family members of InvestComics, Social Media Giveaway or Alterna Comics are not eligible for this promotional giveaway. Please allow ample time for your sketch card to get to you. Winner will be announced on November 30th. If you do not respond via message or email to our announcement that you’ve won on any of the social media that we post and tag you on within 15 days, your prize will be forfeited. No rainchecks. We will not chase you.